Faster, Higher (2008) combines rarely-seen Olympic archive and Chinese documentary news material with footage filmed around the London 2012 site. The work highlights the efforts of athletes training for and competing in a succession of Olympic events. contrasting individual endeavour and commitment with the play of national and political aspirations intrinsic to the Olympic spectacle. 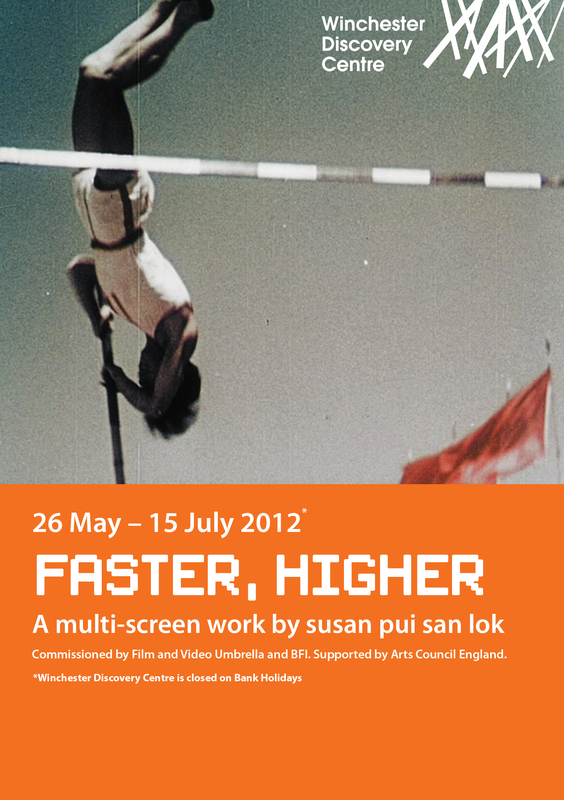 Faster, Higher was originally commissioned by Film and Video Umbrella and the BFI, staged at BFI Southbank to coincide with the Beijing Olympics, and later at the Hatton Gallery, Newcastle, as part of the 2009 Great North Run cultural programme. Tags: art, exhibition, film and video umbrella, moving image, olympics, sport, winchester. Bookmark the permalink.